AdSense requires content - substantial amounts of text content - in a supported language. The term "contextual" means that the ads, which display on each different blog, are chosen to match the subject in the posts. This assures the ad companies, which pay for the ads hosted on the blogs, that their ads will be seen by people who appreciate the products. With the ads carefully chosen, AdSense can confidently charge appropriately - and the blog owner can be paid to host the ads. The blog content is analysed, by the AdSense crawler, as it reads the posts. The AdSense crawler automatically decides what ads to show, on each blog page. The crawler, which is similar to a search engine bot, has to be able to read the content. Photo / video blogs can't qualify. Ads may be displayed day by day - or week by week. Some blog subjects just won't qualify. The crawler decides what the blog is about, by examining the text in the posts. The posts need to have some minimum amount of text, to make this work. AdSense ads are designed to be read by people, in their native language. Blogs written in all languages of the world won't have ads - because AdSense does not work with ad companies which sell products for people of all languages. Only blogs primarily written in supported languages can host AdSense ads. 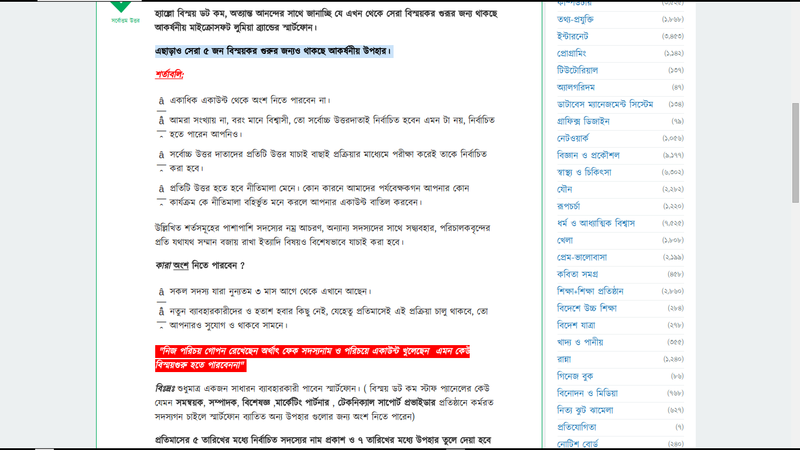 Blogs written in Bengali cannot legally show AdSense ads, right now. If an AdSense publisher uses a legally acquired account from another website, to show ads on a blog written in Bengali, the account will be revoked - and it's a lifetime revocation. And what ever language you write, the blog must have proper composition, grammar, and spelling. The minimum age for AdSense publishers is 18 years - partially because you need to have ability to write clearly, in your chosen language. Posts written by a pre teen are not accepted, for blogs hosting AdSense ads. The crawler can't read photos. However intriguing or scenic a photo blog may be, it's not going to be approved, to host AdSense ads. You can include photos, on any suitable blog - but neither photos or videos can substitute for text. Neither AdSense or YouTube permit ads on pages with YouTube content, outside the YouTube website. Blogger blog posts, with YouTube videos not accompanied by substantial text content, will not display AdSense ads. This is a known problem, with the Blogger supplied dynamic templates. Just because ads do not display today, that does not mean that they won't display tomorrow - or next week. Conversely, just because ads do display today, does not imply that they will be there tomorrow - or next week. Ads are displayed when they are available. If your blog shows ads for a given product this week, next week those ads may be discontinued - or they may be displayed on a more interesting or relevant blog. AdSense explicitly prohibits some blog subjects. Other blog subjects, even not prohibited, are not compatible with the AdSense ecosystem - and blogs based on those subjects are unlikely to ever display paying ads. Crapola - blogs with lots of posts, of unfocused subject and unoriginal content, chosen simply to "bulk up" the blog - is not going to have paying ads. Ad managers, with any future, will only pay for blogs with a consistent subject, and unique content. To host paying ads, AdSense requires quality content. If you want to host AdSense supplied ads, on your blog, you have to read and heed all AdSense Policies. This is one more requirement, in activating ads on your blog. And right now, some blog owners may be receiving a congratulatory notice, when approval is yet to be determined (or possibly, denied). Some #Blogger blog owners want to use AdSense to make money with their blog - but they overlook the basic necessities of being an AdSense publisher. Besides the age / content volume issues which are easy enough to define, there is the need for AdSense to be able to properly choose ads to be shown on the blog. The AdSense crawler, which is a robotic process similar to any search engine, determines the ads to show - if it can crawl the blog and find useful details. How many daily page hits does it take to make adsense worthwhile tp both Adsense and the blog owner? Thanks for asking the question, it's worthy - but it's irrelevant. Page hits are not considered, as eligibility criteria. Traffic is too easy to fake - and AdSense won't fall for that. Content is the only criteria. Quality content leads to more traffic - and content quality / volume is the only metric that's used.